A tool kit for sealing metal brake pipes. Suitable for clamping and sealing metal flared pipes on braking systems, cooling system bypass fuel pipes, AC pipes etc. 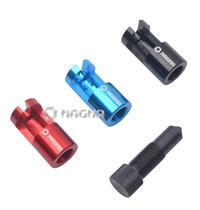 3 pcs anodised aluminium bodies with composite screw.